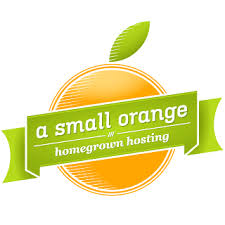 A Small Orange is a web hosting provider for any type of websites. It offers shared hosting, WordPress hosting, business hosting, cloud VPS hosting, and dedicated hosting, as well as website building. In this article, we cover user reviews and pricing. Ready to get started with A Small Orange? Visit their website. As of the date this article was written (01/07/19), there are no up-to-date positive user reviews of A Small Orange online. If you are a past or current A Small Orange customer, leave a review to help others who are deciding whether or not to use the company. Users who gave A Small Orange a negative review mentioned that they encountered a lot of downtime with their sites. Others shared that they were still billed automatically even after they canceled the service. Many users also complained about the company’s terrible customer support. One user who gave A Small Orange a negative review on Hosting Facts complained that the company’s servers are very unstable, causing his site to have a downtime of around 14 hours. He also ranted that the technical and customer support took 45 minutes (with a 4-5 minute hold-time) to answer a basic question he had but provided him with incorrect and inconsistent information. A Small Orange has four shared hosting subscription options ranging from $5.92 to $25 per month. 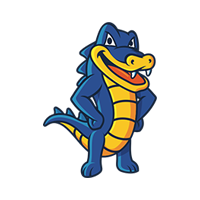 The main differences between the four pricing options are the storage and bandwidth allocation for the website. *Available in annual terms only, which costs $71.04 per year. Ready to get started with A Small Orange? Visit their website. 6 Best Free Web Hosting Services 2019 — Free web hosting services give small businesses a free place to host and build their websites. We reviewed dozens of services to find the six best based on available bandwidth, storage, uptimes, if they display ads on your site, the ability to connect your own domain, and if their free plan includes email. Read this guide to find out which of these would fit your hosting needs. Does A Small Orange offer a refund? Yes. The company offers a money-back guarantee if you decide to cancel your account within the first 90 days from your purchase date. What type of support does A Small Orange provide? A Small Orange provides 24/7 live phone support to help users with all of their domain needs. Not sure if A Small Orange is the right fit for you? Read our reviews of all top web hosting providers or check out one of these three A Small Orange competitors. They used to be awesome: now my site goes down multiple times a month and only comes back up when I log in and restart the VM. Despite this, they increased the monthly without asking or notifying anyone. If I weren’t so busy I’d have moved my site by now. DO NOT USE THIS COMPANY. That they’d go from being a 10 to a 0. They had a great reputation once and in the early days I would have recommended them to anyone. Things sadly changed gradually down to a point where I had no option to leave. The support had degenerated drastically. There used to be a community forum but it disappeared a few years ago unannounced. Then the ticketing .system started to get ridiculous in a sense that no matter which option you chose you were directed to ‘knowledge base’ articles and unable to find a form to actually write your query.. The only way that users seemed to be able to get anything done was to shout out about whatever issue on Twitter – and even then it was always slow in being resolved. I did what most sensible people did and that was to have a look around to find a different host. I’ll not mention who my new host is in this review because it isn’t about them, but the difference is amazing. Cheaper, better, faster, they’re interested, they’re helpful and diametrically opposite of the ASO experience in recent years. I became a customer of A Small Orange in 2007. For years they were excellent, reliable, and with standout customer service. They built up a great reputation. The first time I had a bad experience (unexplained downtime, poor response), I was willing to let it slide, because they had earned a lot of loyalty. Then I had another bad experience. And another. In the past 12 months (from mid-2017), my site has had four unexpected outages, with no communication through the usual channels. In one case I was told that “a notice will be posted on the status page if there is extended downtime” — after the site had already been down for four hours. In another, my URL was accidentally redirected to a “This Account Has Been Suspended” page — and though I knew it wasn’t true, I had a lot of concerned readers reaching out to me on other platforms before it was fixed. At some point I googled A Small Orange and discovered it had been bought out. Given the sharp downturn in service quality, I was sad but unsurprised. You can still find a lot of (genuine!) glowing reviews about ASO, but the people who earned those reviews are no longer running the company, and the current management is trading on that stellar reputation without living up to it. Yes, that’s exactly what happened with me too. The “This Account Has Been Suspended” assassination for no substantiated reason. I have a few months ‘credit’ left on there since cancelling – they wouldn’t entertain any ideas of a refund. It’ll probably stay there forever, because I have no intention of ever using it. Actually never seeing that $130 again is probably worth it. Started off as a great company with great hosting. Then EIG bought them, cost-reduced them, loaded more customers on fewer servers, off-shored the support, and now they’re just another EIG host with bad support and slow hosting. A Small Orange has been nothing but a headache for me. It’s like they are keeping me captive. I started having issues with their service so I filled out tickets and chatted with their front line workers without assistance. I then decided it was time to leave them and go with a smaller hosting company known for its customer service. Little did I know that it would take so long and so much effort on my part to complete the cancellation of my account and transfer to the new host. I was being held captive. I wanted to leave them and it was out of my control! This all started on March 23, 2017 and I continue to be held captive by them. My account was finally cancelled but then I discovered they were taking $10 out of my PayPal account for the last few months. I canceled the monthly payments on PayPal (which I never signed up for – I paid a annual payment to them, not monthly). Then I contacted them for a refund of the money. After chatting with a representative who insisted the money was refunded, I discovered that they had given me a credit of fifty dollars for their services. What good does a credit do if I’m not their customer? Really??? After two chat sessions and two tickets, I am still waiting for a response from someone about the refund of MY money. It’s been nine days since my first chat and ticket. I’ve also connected with them on Twitter. Again, I’m held captive along with my money. I’ve started a case with PayPal which may help me with my refund. Unfortunately no matter how hard I try, it doesn’t appear A Small Orange will respond to me. Since this issue I’ve seen others complain that the exact same thing has happened to them. They are a terrible company. Please save your time and money. Check them out with the Better Business Bureau.